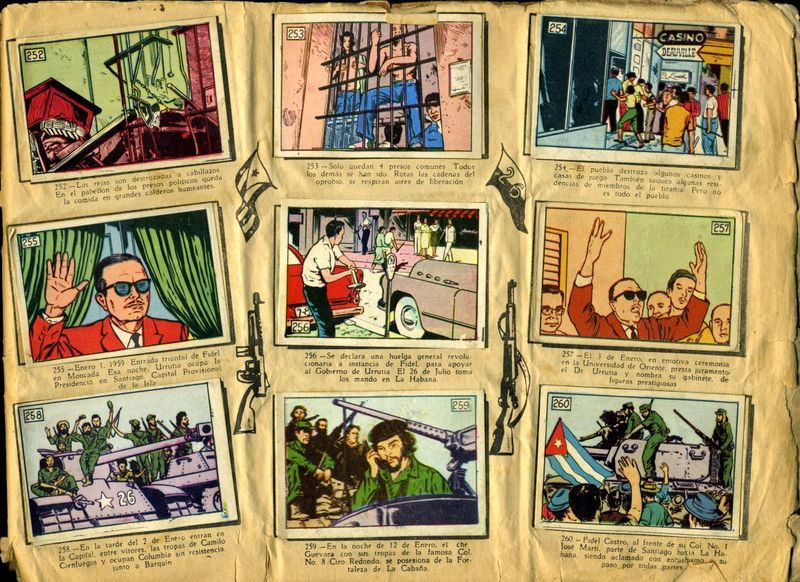 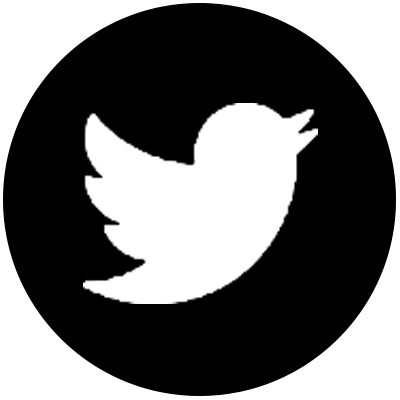 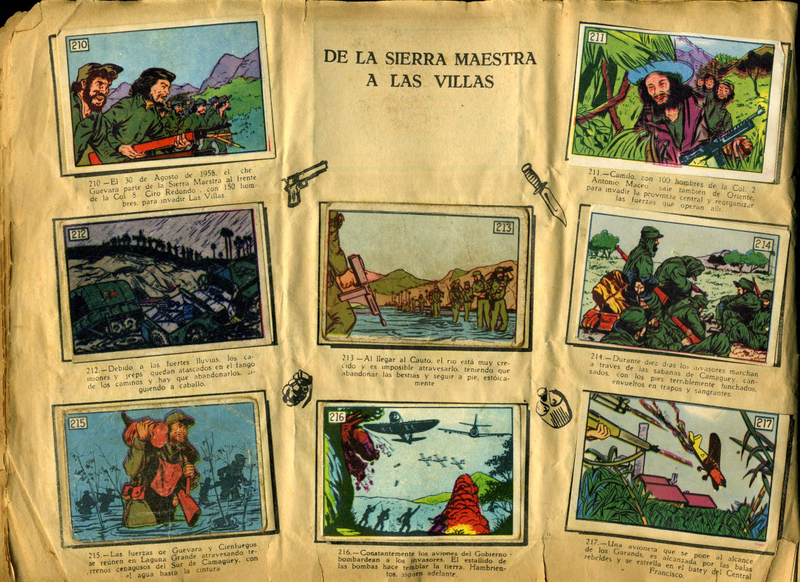 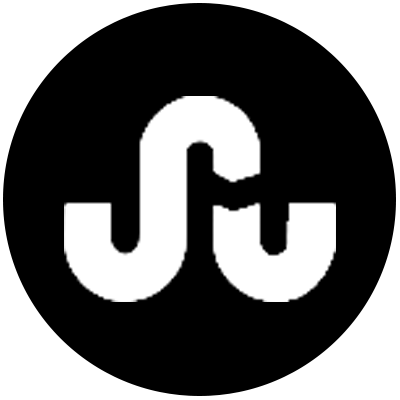 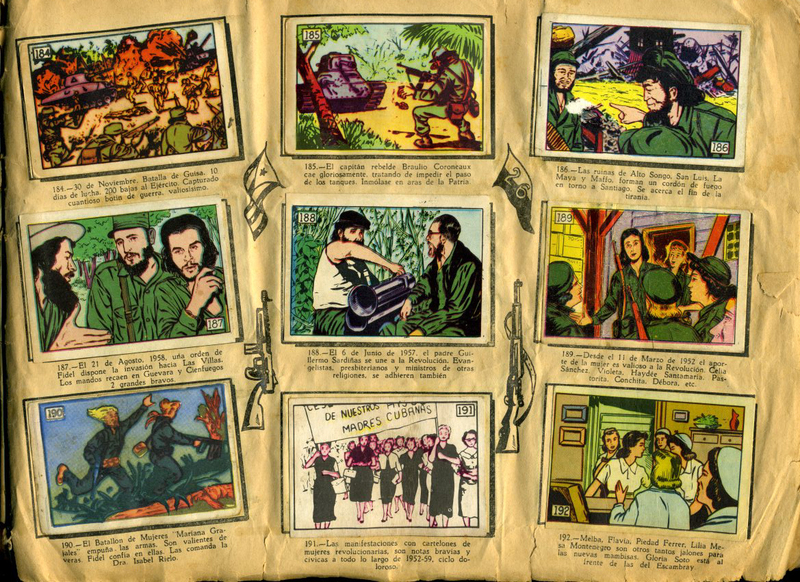 The Album de la Revolucion Cubana was produced by Revista Cinegrafico in the 1960s as a piece of propaganda aimed at children. 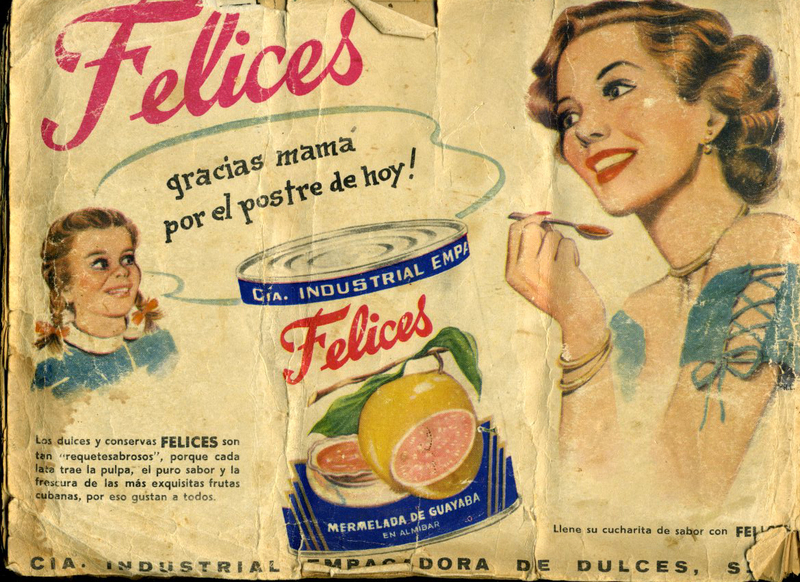 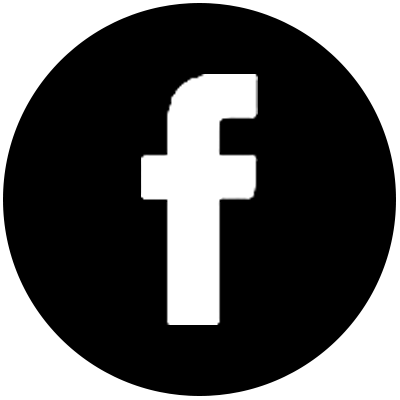 The album and the 271 picture cards were given away with purchases of Felices fruit cans. 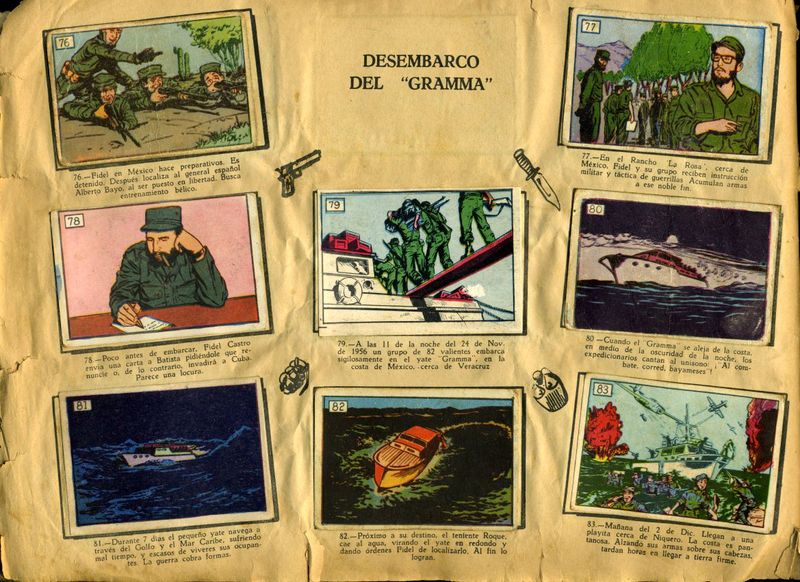 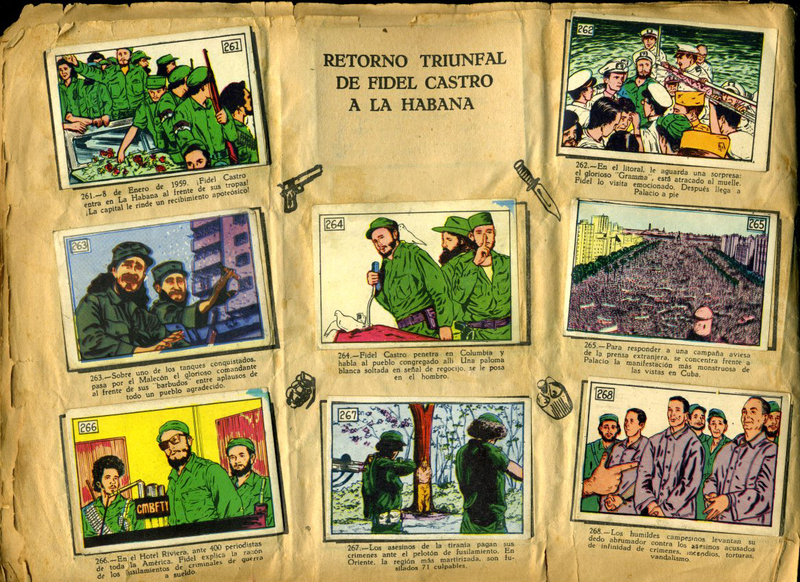 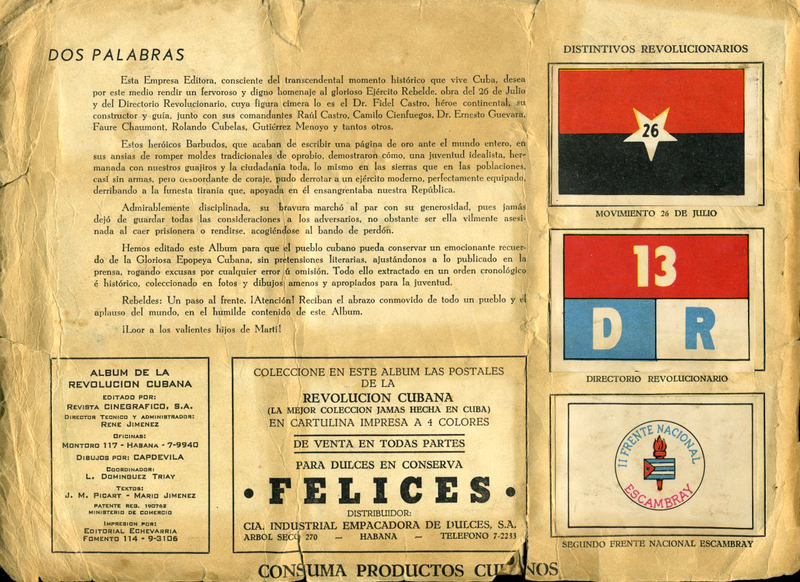 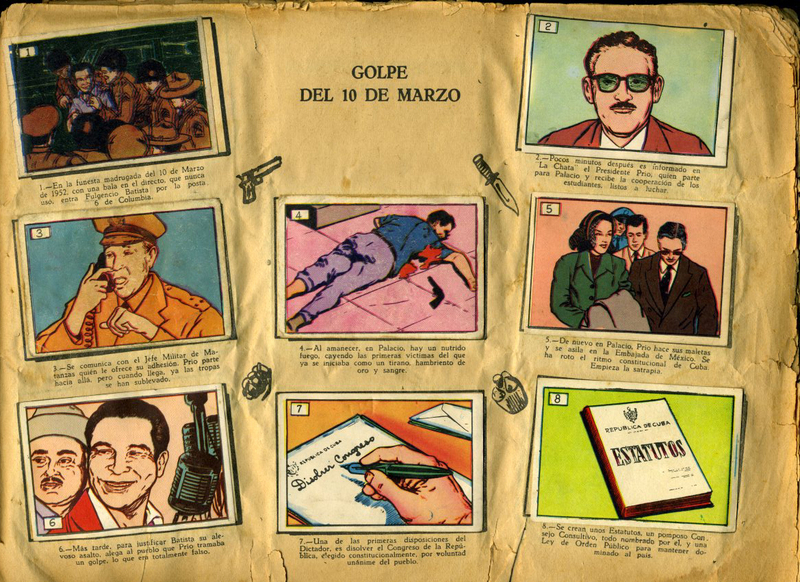 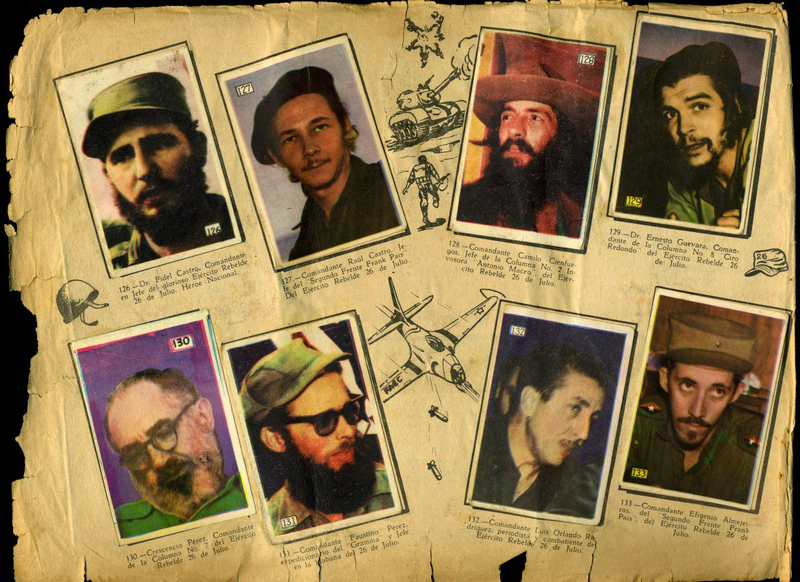 The cards were then pasted next to the corresponding text in order to complete the illustrated history of the Cuban Revolution. 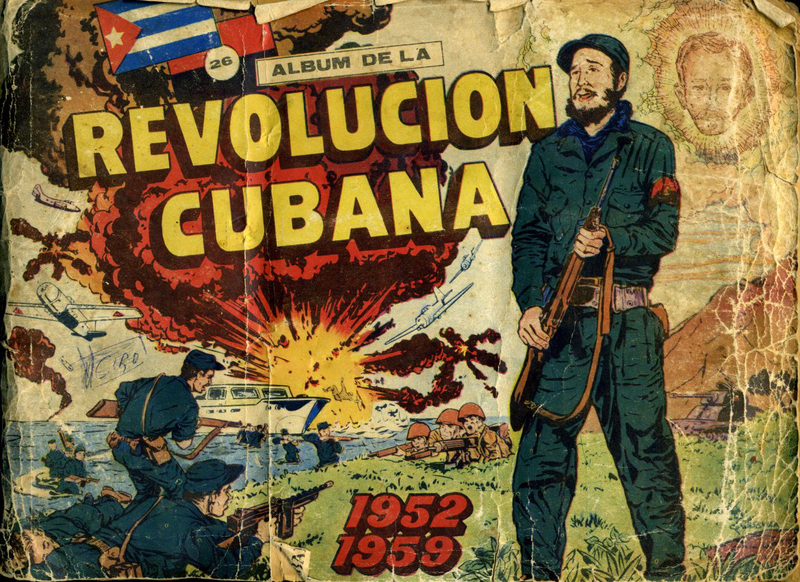 I found this beat up copy in an open air book market next to the Plaza de Armas in Habana Vieja. 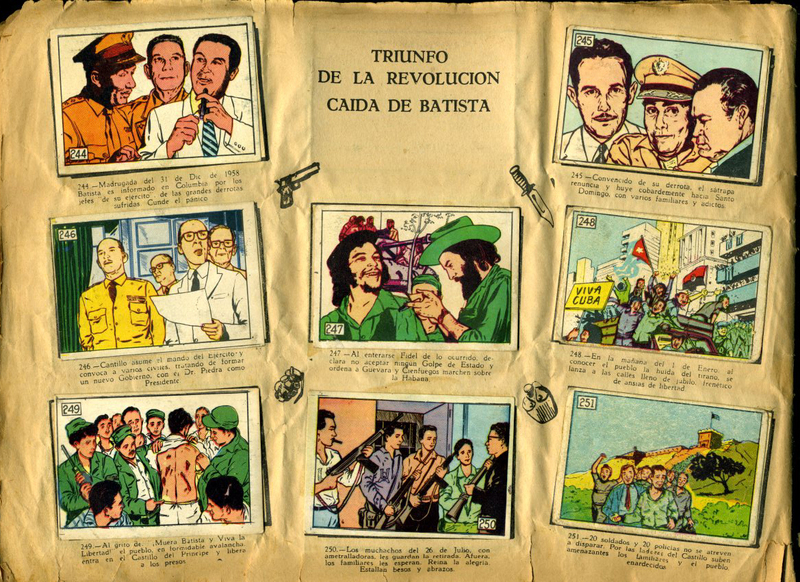 Those gun and knife illustrations really bring the whole thing together for me.